Please Check Your Tyre Tread For Wear! - Scooter Central | Your One-Stop Scooter Shop! Please Check Your Tyre Tread For Wear! We don’t often see ones as bad as this but it is always good to get a reminder to check your tread wear. In the winter months with the cooler weather tyres are more susceptible to loosing grip. 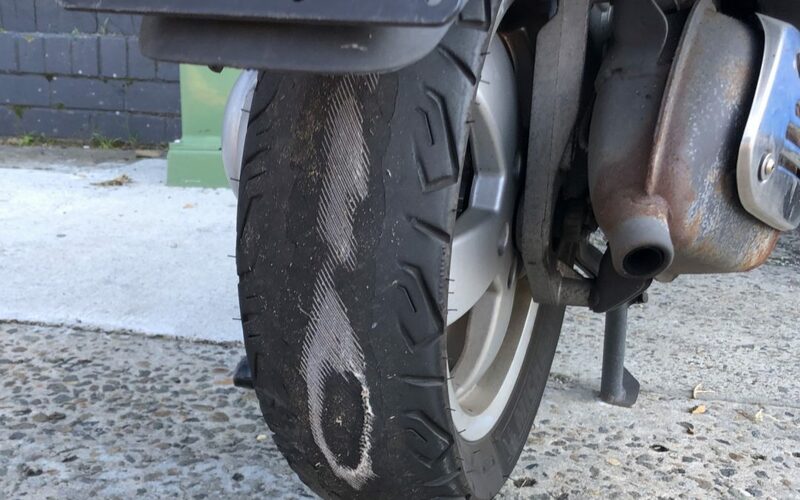 If you haven’t thought about it for a while, please check those tyres. Feel free to stop in for our techs to do a quick measure of remaining tread and to let you know if you should consider new tyres now or when they would be due for a change. Be sure to check your tyre pressure as well to stay safe on the road and increase the longevity of your tyres.